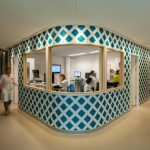 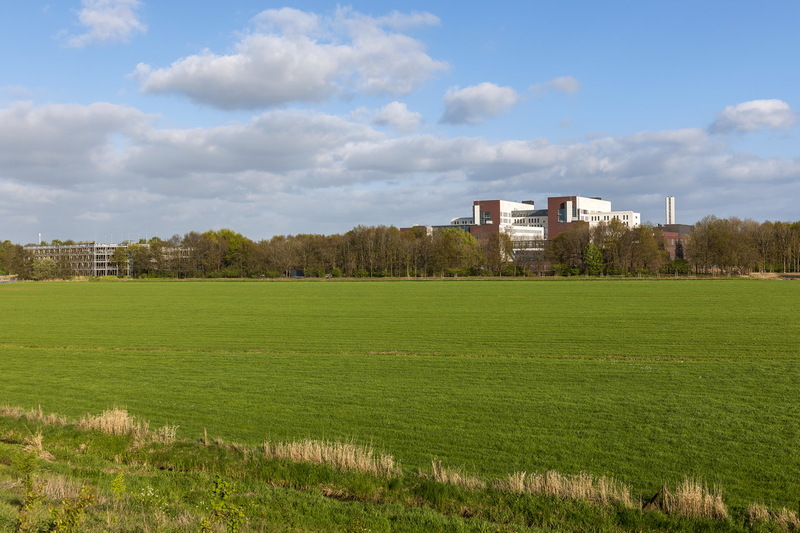 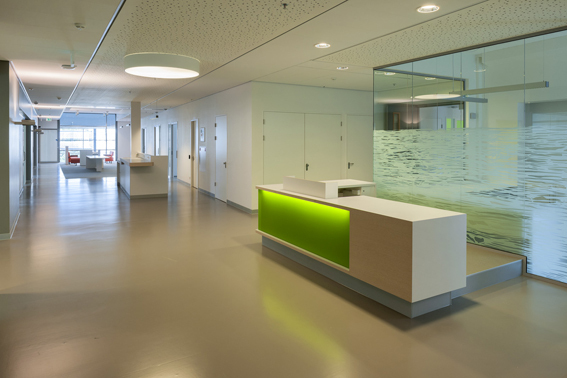 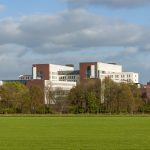 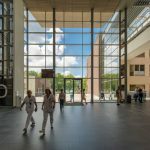 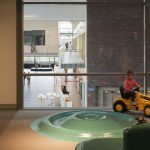 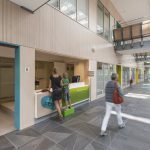 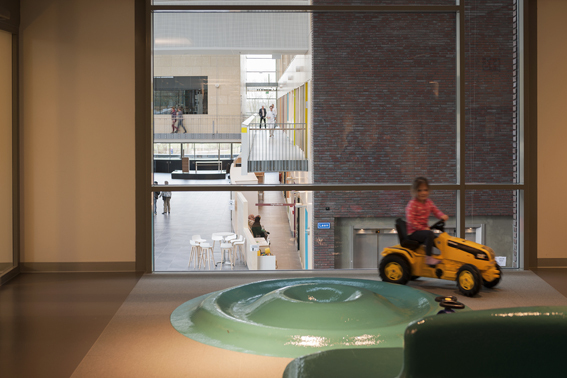 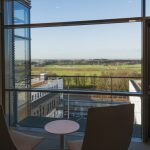 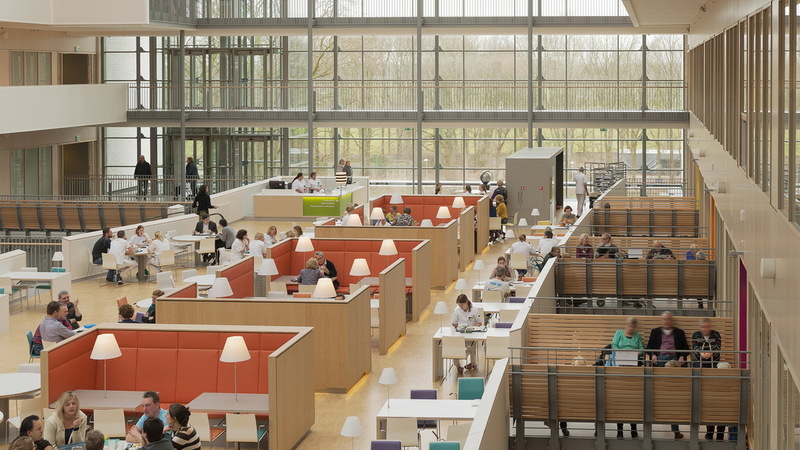 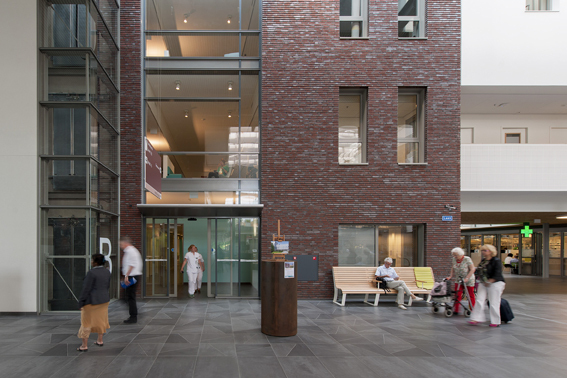 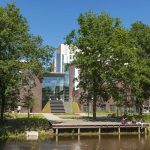 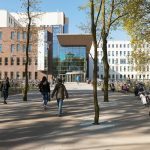 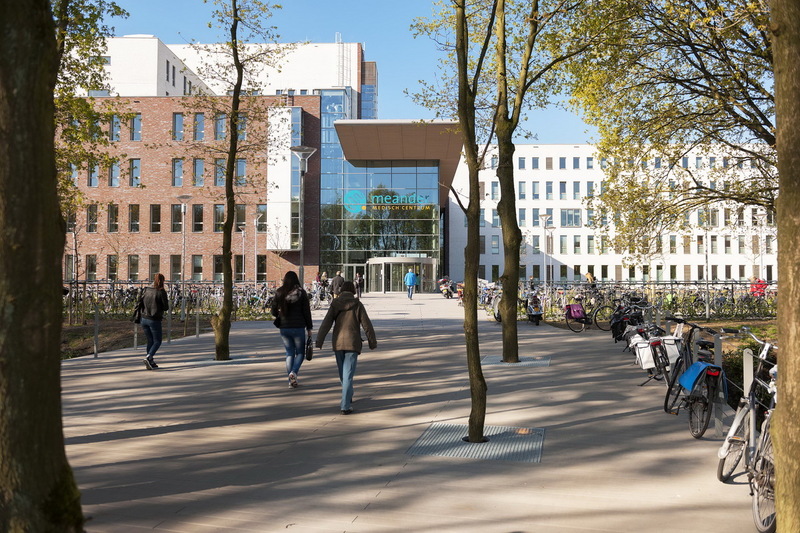 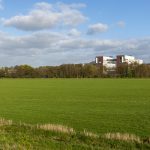 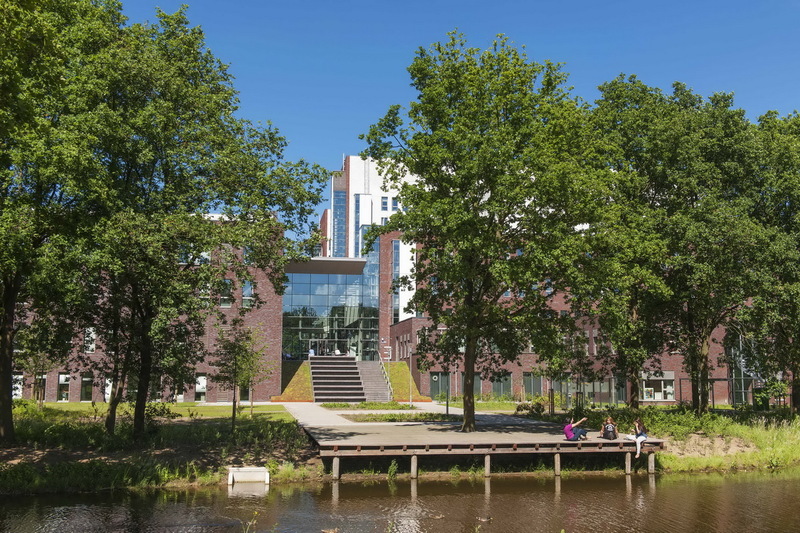 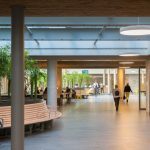 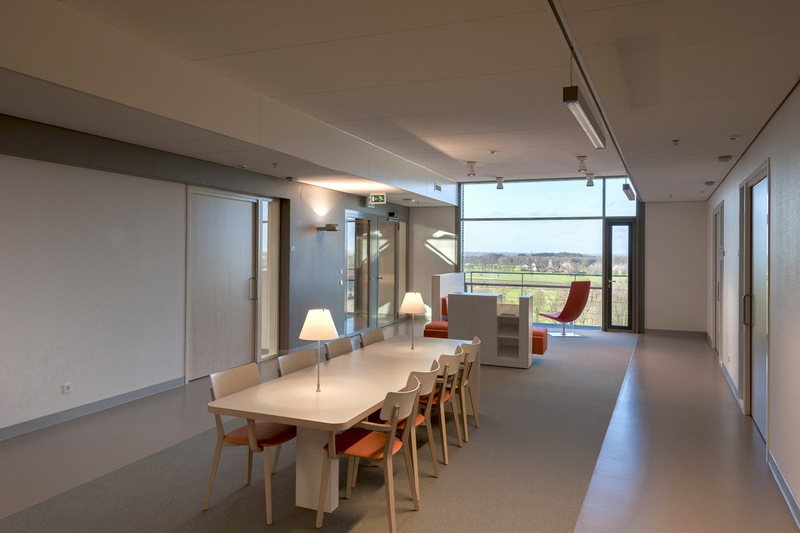 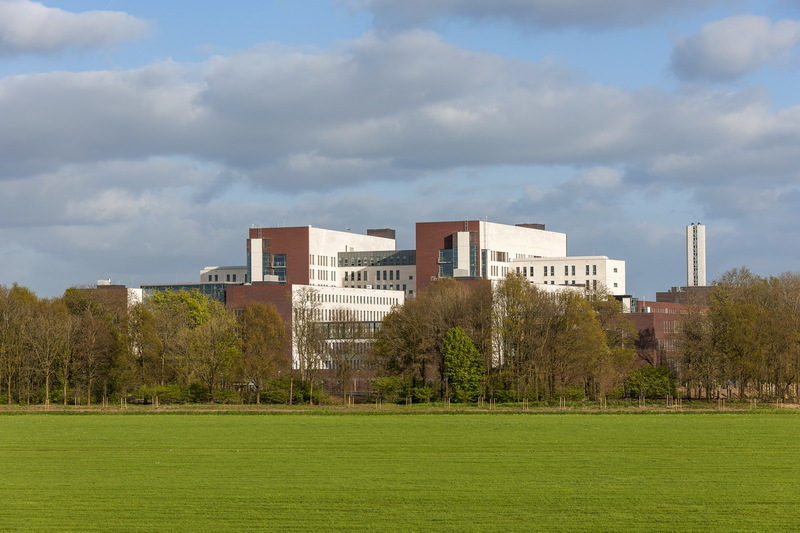 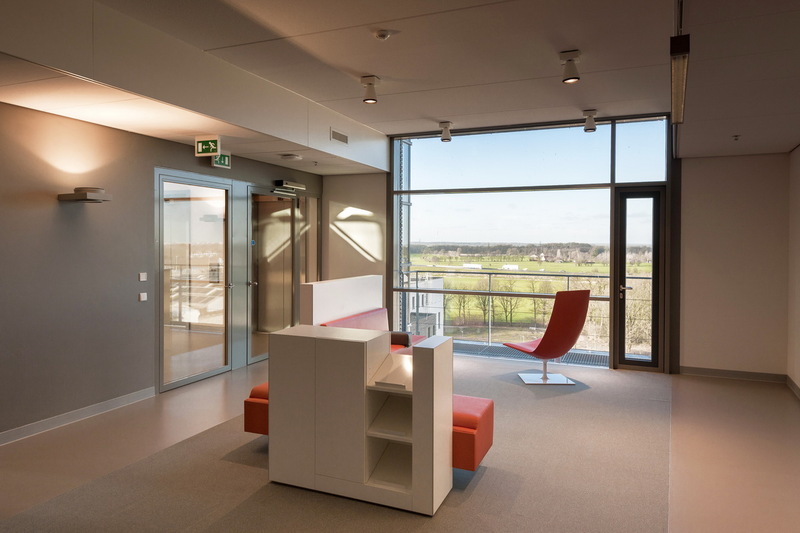 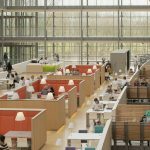 Atelier PRO designed the 1 million-square- foot Meander Medical Centre, a hospital in Amersfoort, Netherlands, to place patients, visitors and hospital staff in spaces that encourage active engagement with the landscape. 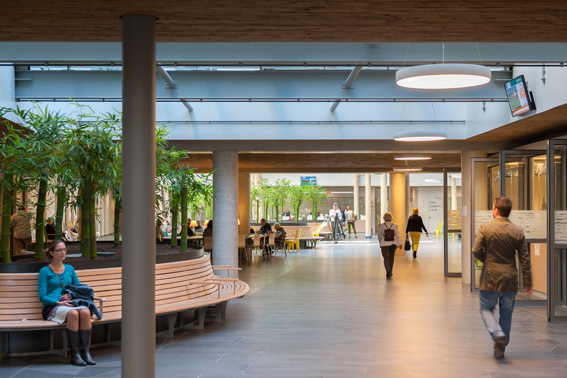 The complex is configured like a village with main avenues and public squares that provide opportunities for natural light to permeate every habitable space. 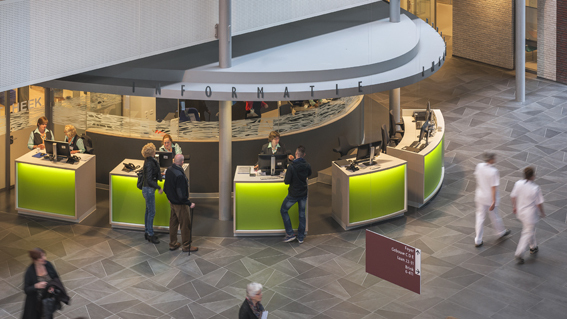 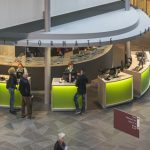 This simple, urbane organization allows for convenient wayfinding throughout, using public facilities such as the restaurant, pharmacy, auditorium, and waiting rooms as landmarks for orientation. 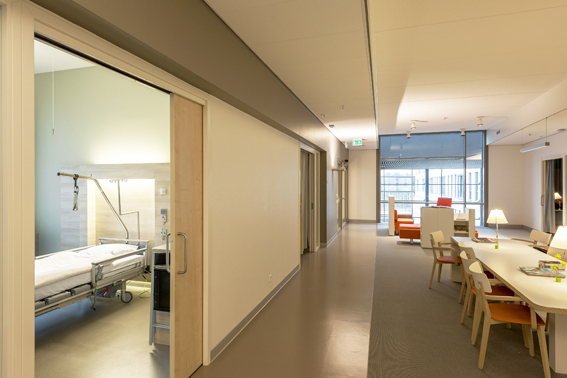 All patient rooms are private, have individual bathrooms, and feature large sliding doors leading to adjacent lounge areas. 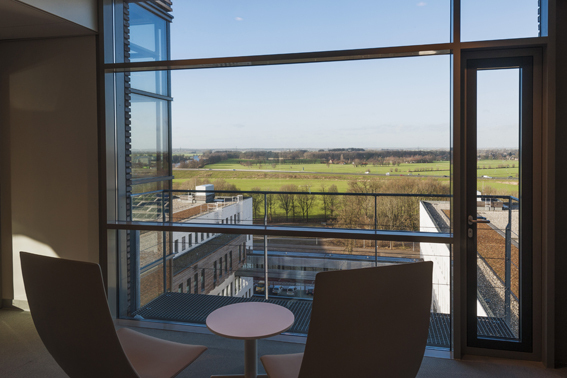 Each wedge-shaped lounge has large windows with panoramic views. 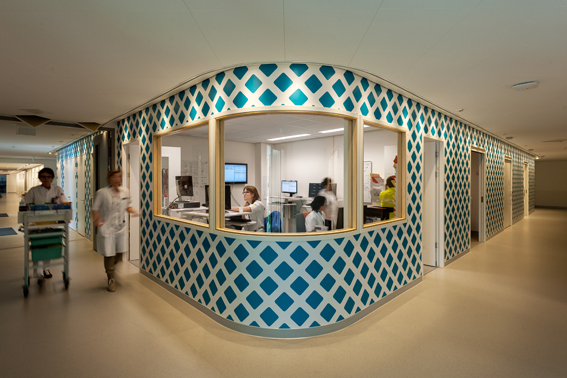 Clinics occupy a series of individual buildings that resemble outspread fingers. 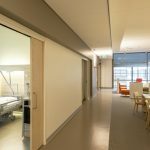 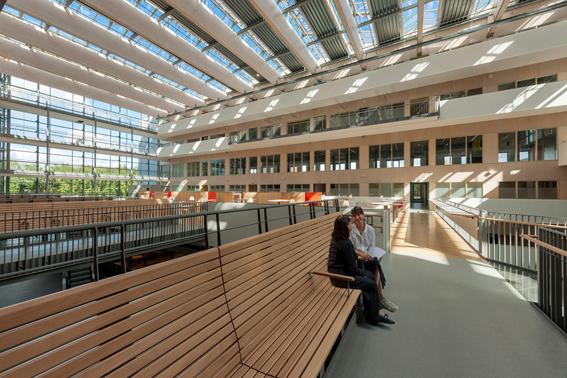 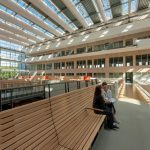 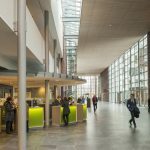 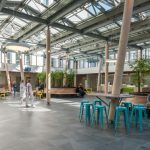 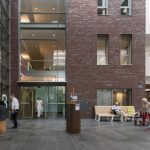 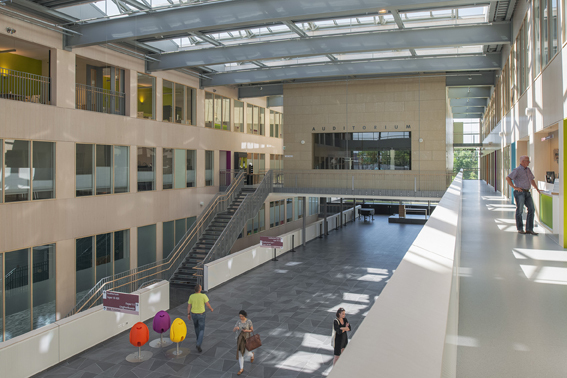 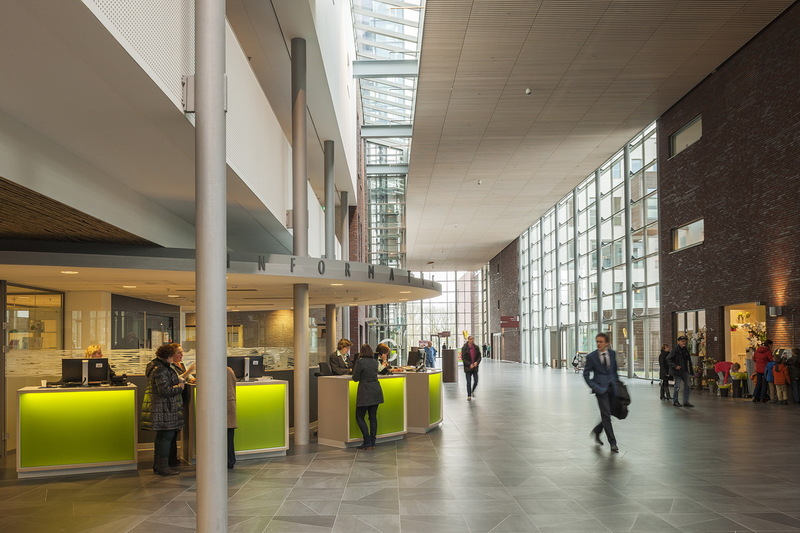 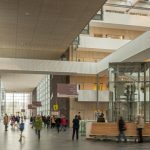 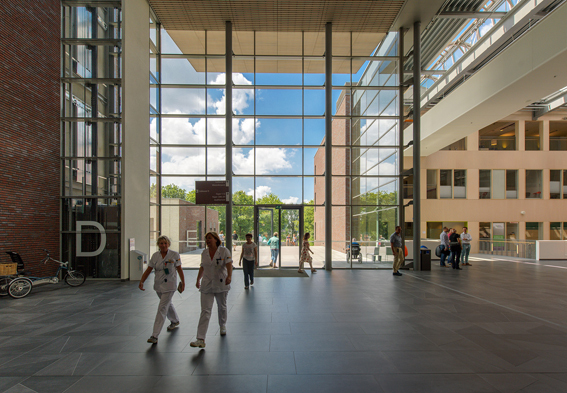 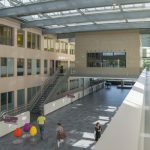 Designed to be expanded in the future, the clinics are organised around large, day lit atriums that provide interior focus for the large number of patients and visitors in this area of the hospital. 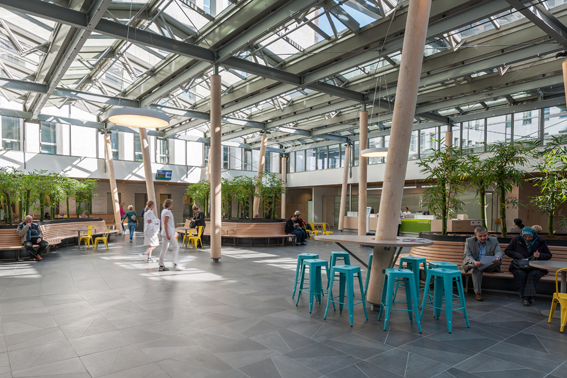 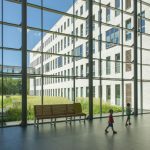 The well-being of patients, visitors, and workers is supported through comprehensive integration of daylight, nature, and easy wayfinding. 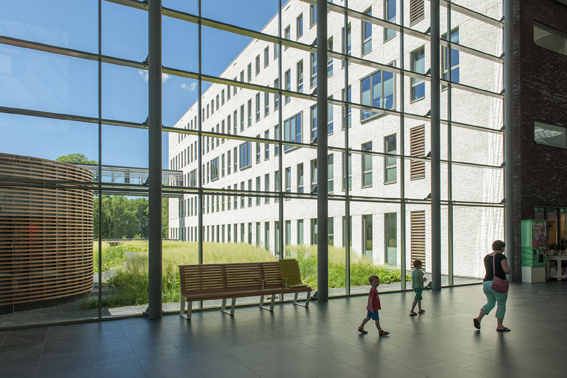 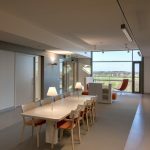 Extensive glass in both the exterior envelope and interior partitions allow light to permeate the building and foster a sense of brightness and openness. 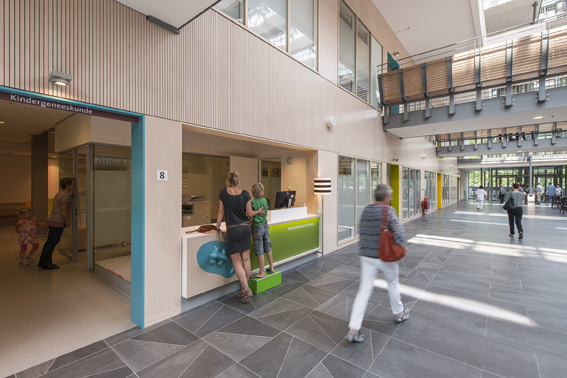 Timber is featured as a warm contrast in public spaces and patient rooms to underscore the building’s relationship to the natural landscape. 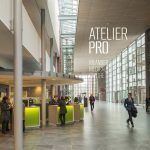 Dorte Kristensen (Århus, Denmark 1963) has worked with atelier PRO since 1989, and from 2003 she has been management team member as architect director. 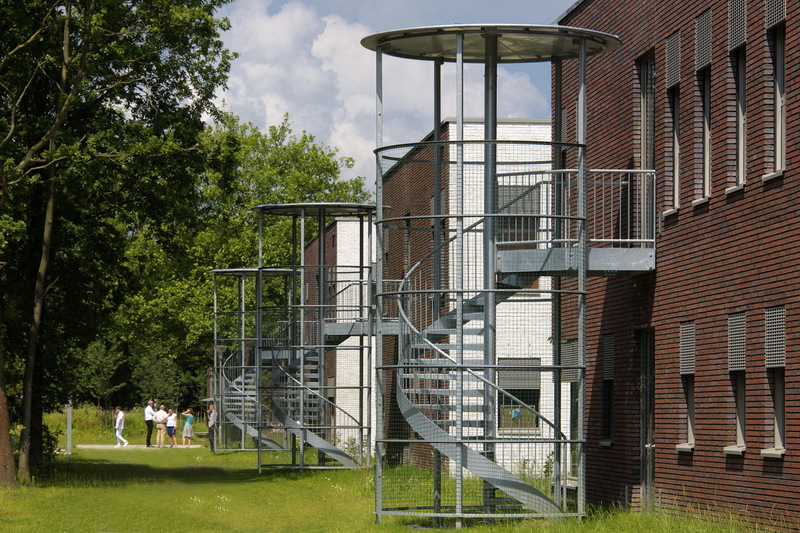 She studied two years architecture at the Faculty of Architecture in Delft and worked as an architect in London. 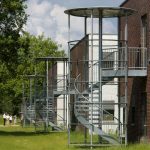 She graduated in 1989 at Arkitektskolen in Århus for her Master of Arts degree in Architecture (MA). 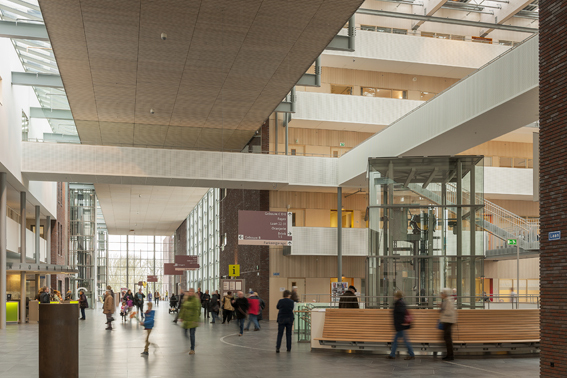 Dorte’s ideas have been influenced by Scandinavian architects , such as Gunnar Asplund, Alvar Aalto and Jørn Utzon. 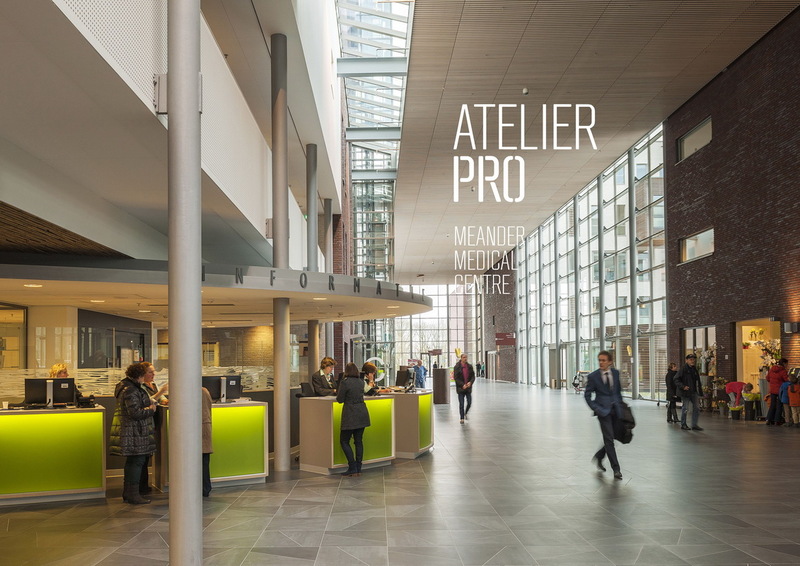 Using this firm Scandinavian base, her Danish style perfectly fits in with the ideologies of atelier PRO: austere and robust architecture.